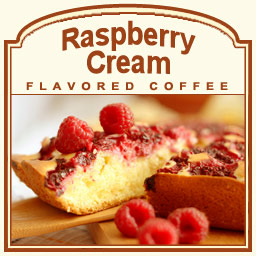 Nothing says summer like sweet succulent raspberries, and with this creamy addition, your taste buds will feel indulged with the spirit of summer in each and every sip of this Raspberry Cream flavored coffee. With only 2 calories in each cup, our Raspberry Cream coffee features a silky smooth flavor of soft, sweet raspberries that taste like they were freshly picked. Made with 100% authentic Arabica beans, the Raspberry Cream flavored coffee features a gourmet flavored coffee experience so decadent; your taste buds will fall head over heels with each sip. Roasted and shipped on the same day, this Raspberry Cream is the ultimate fruit-infused creamy flavor. Packaged in a heat-sealed valve bag, this Raspberry Cream flavored coffee will be fresh and fruity with each scrumptious sip. Let the creamy smoothness of this delicious creation wash over you for that summertime experience!